This treat is a triple threat – sweet, salty and crunchy. How can you resist? MAY CONTAIN PEANUTS, MILK, SOY, AND OTHER TREE NUTS. Good flavour, but aren't really Cookie-like in texture. More cake-like than cookie. Was not a fan of these unfortunately. They are a weird flavour and very crumbly. Wouldn't buy them again. I really enjoyed these cookies. They have just the right amount of sweetness. 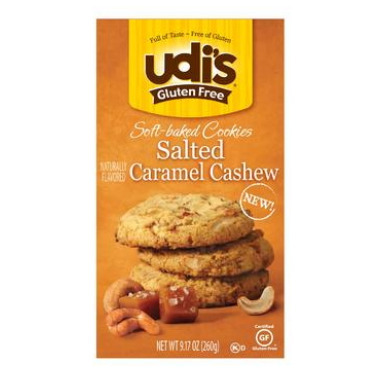 I like that they are crumbly and taste like regular (gluten) cookies. These cookies are very soft, crumbly and delicious! Definitely worth trying.